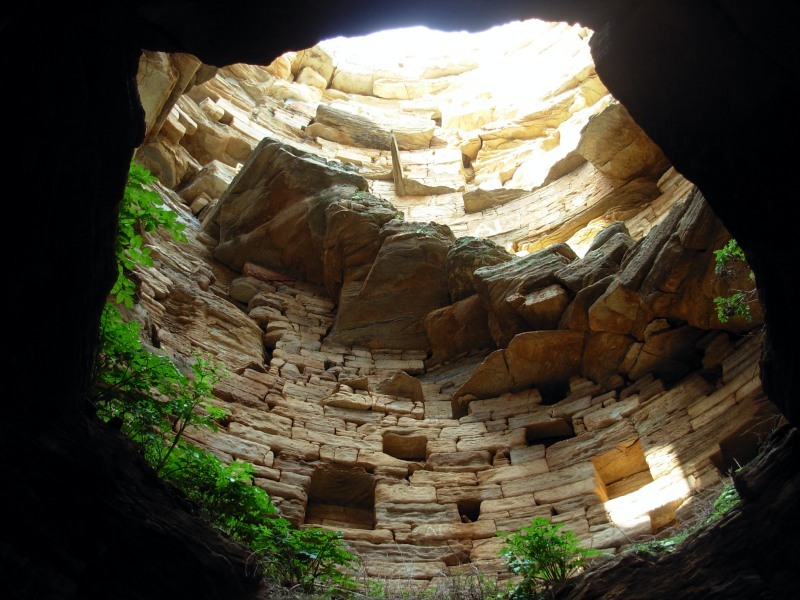 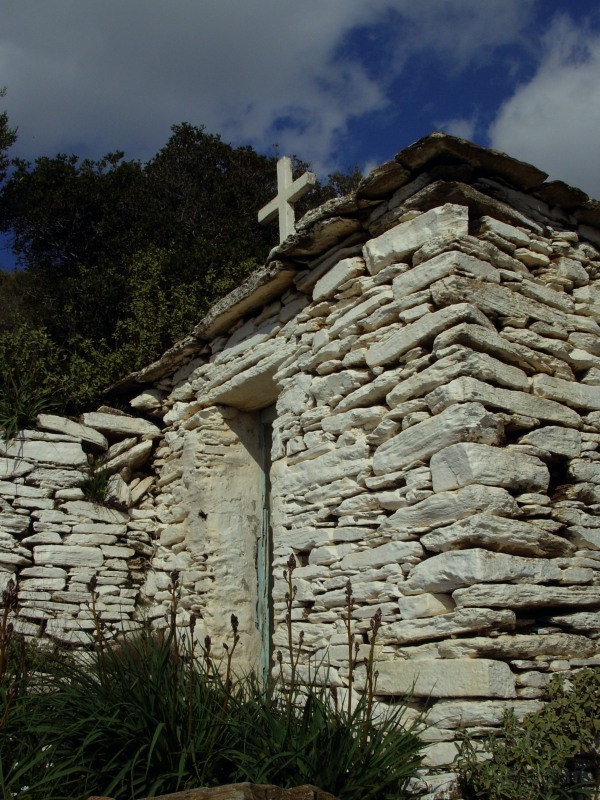 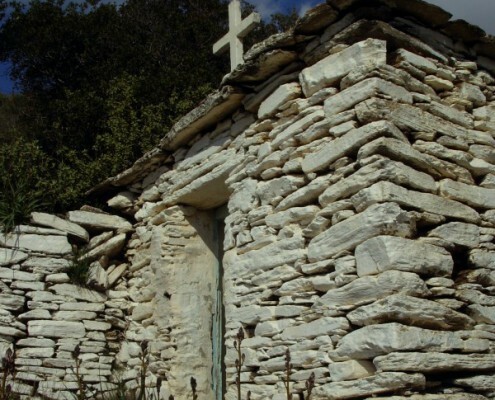 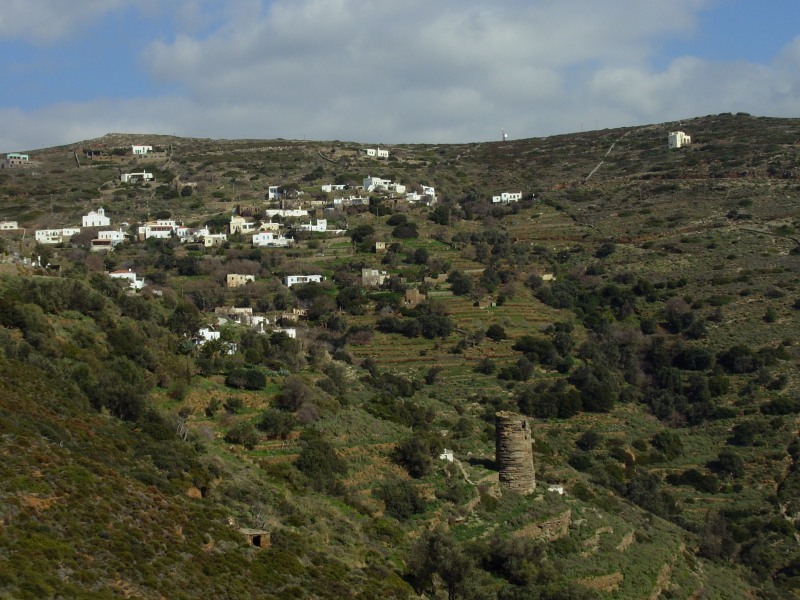 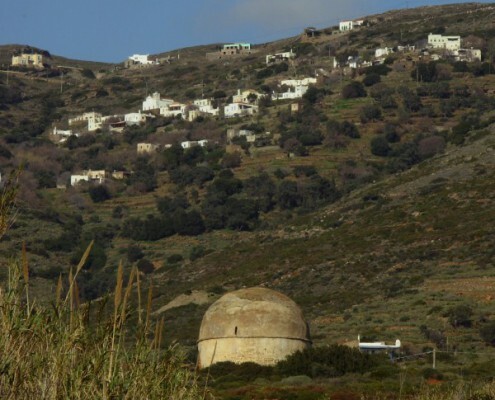 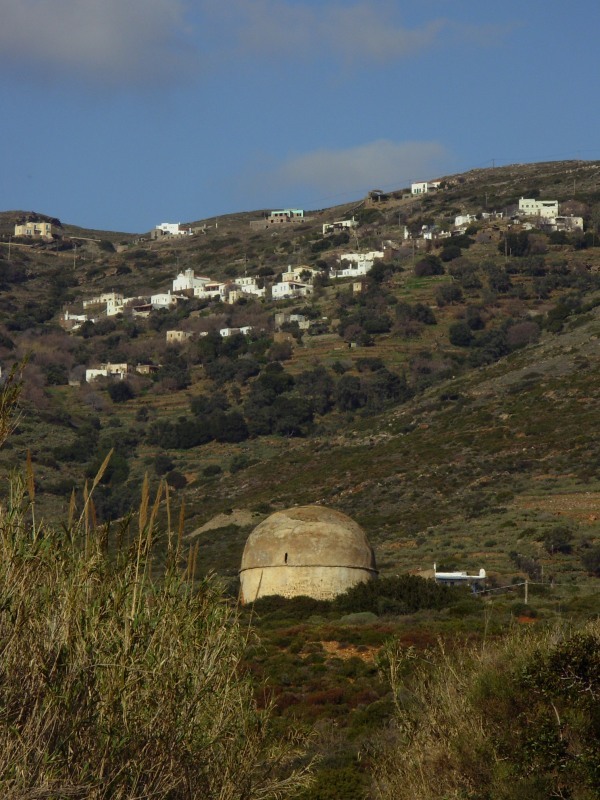 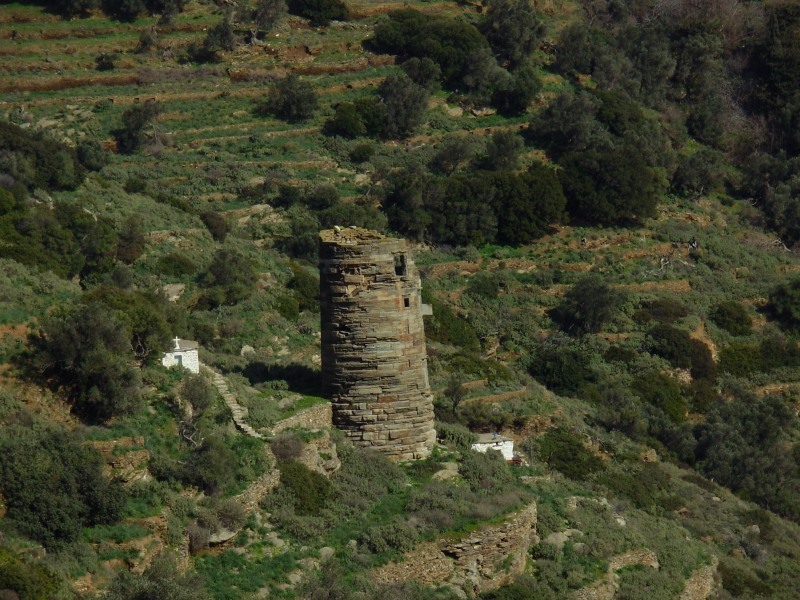 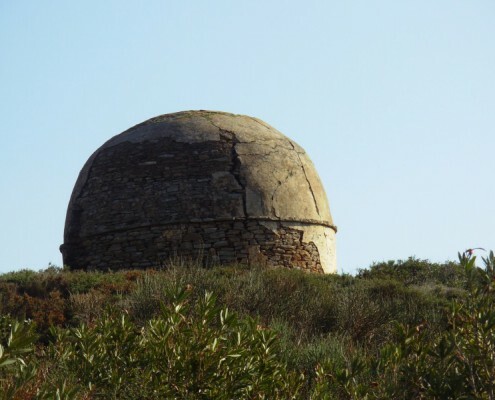 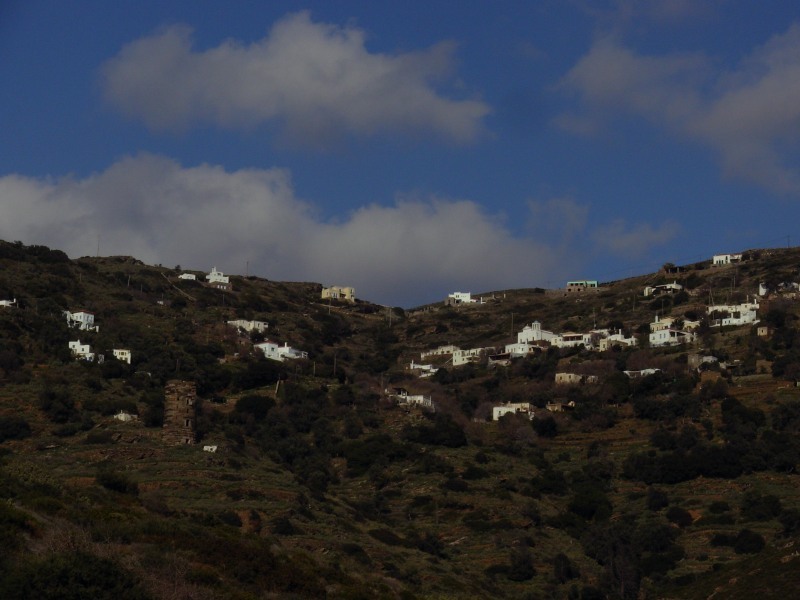 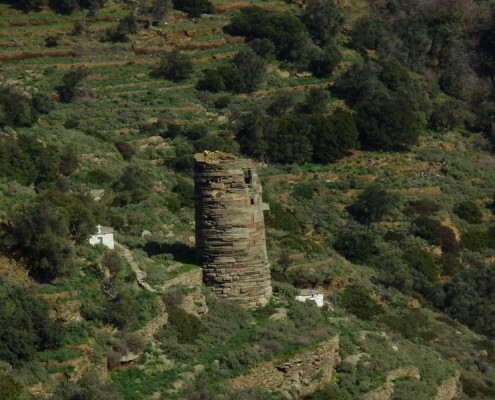 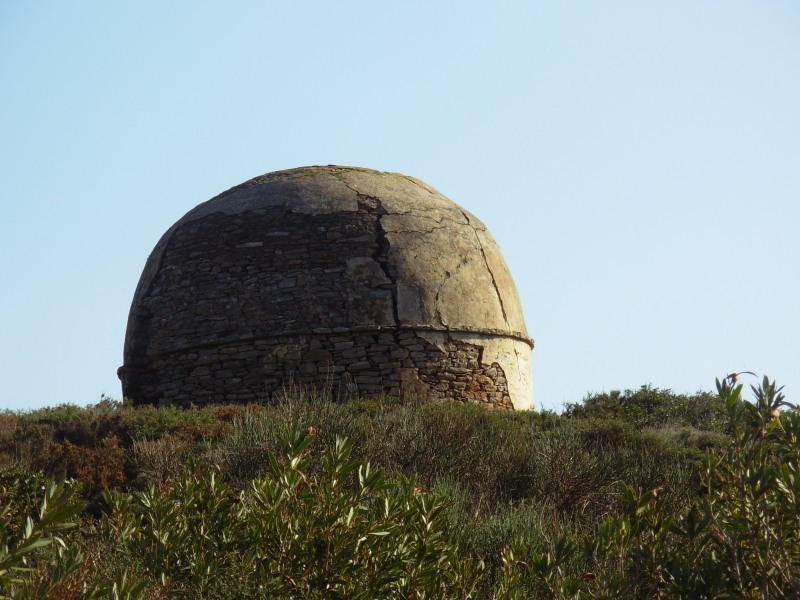 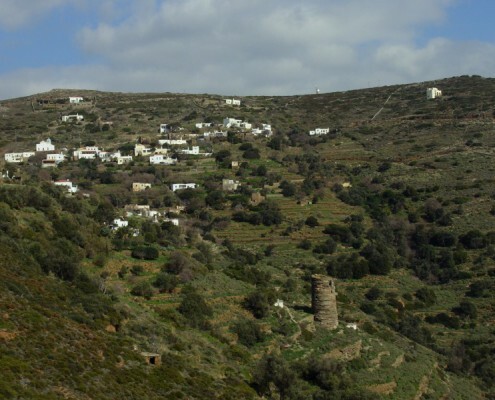 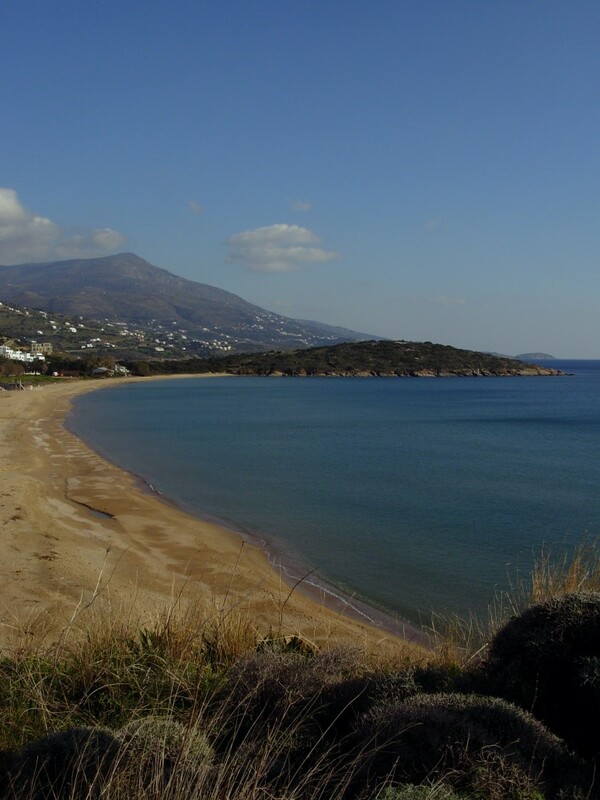 A route introducing hikers to Andros’ paths crossing two consequent valleys; starting from Gavrio Port towards the beautiful settlement of Ano Agios Petros and the homonymous beach. 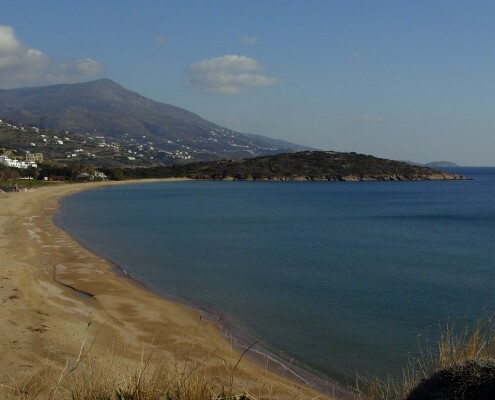 The enchanting views towards the west coastline, the Gavrionisia islets, the picturesque settlement and the impressive Hellenistic Tower of Ano Agios Petros as well as the beach of Agios Petros are some of the many attractions. 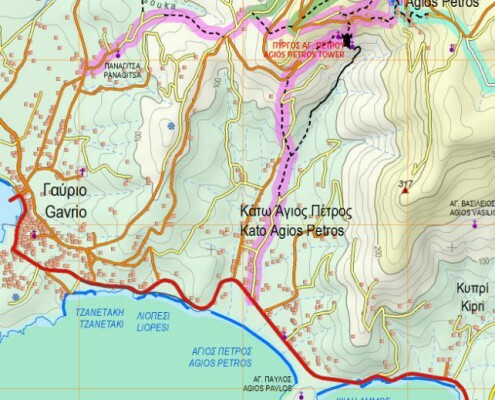 Road from Gavrio to Ano Gavrio, there is a sign, next to the one which leads to Hotel Kymothoi, vertical turning right. 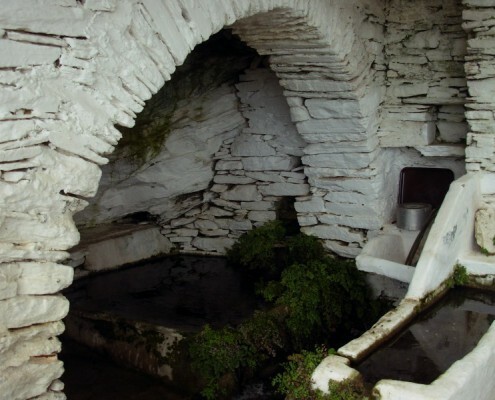 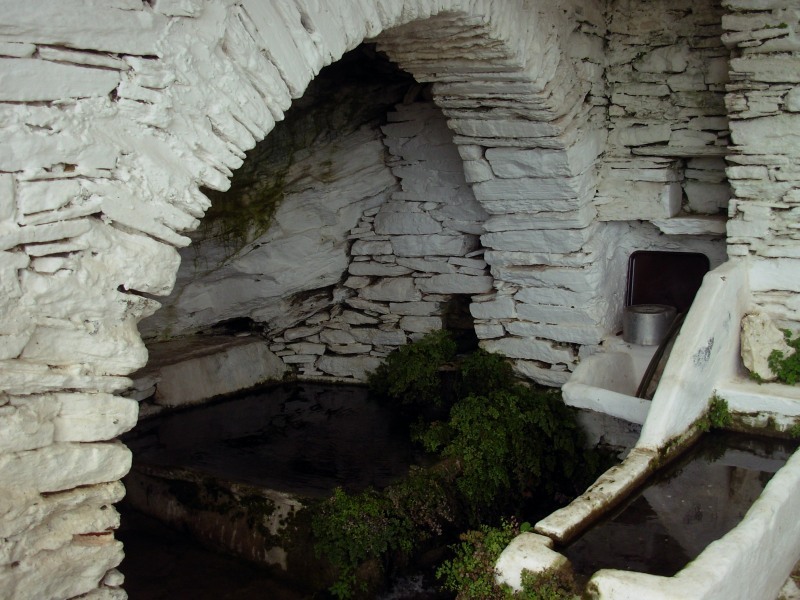 Water in Gavrio and Ano Agios Petros. 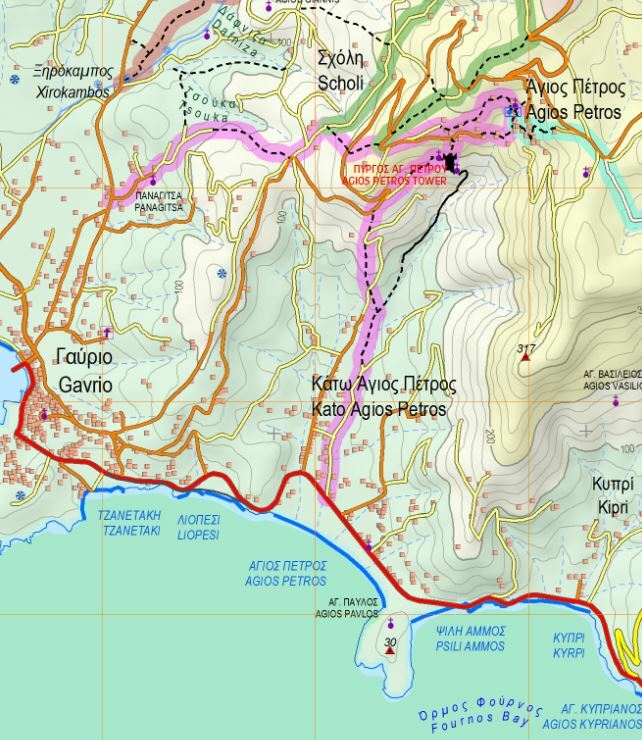 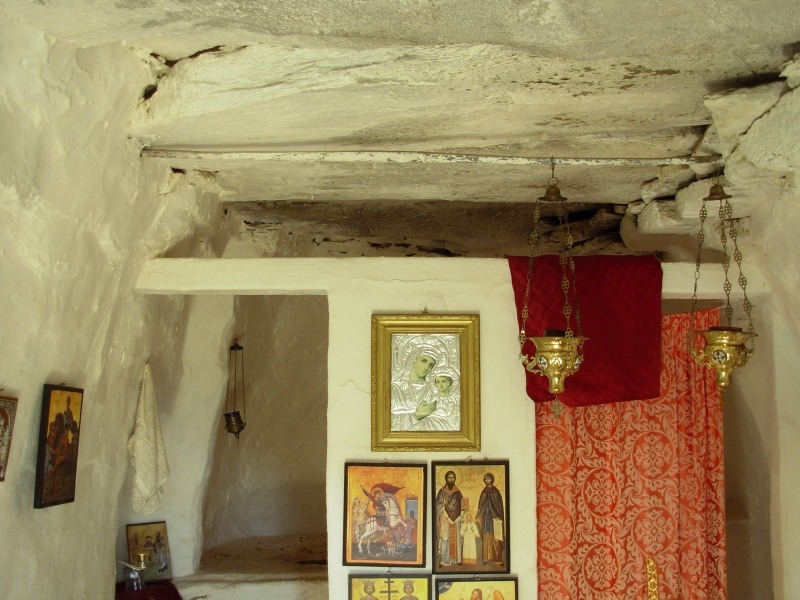 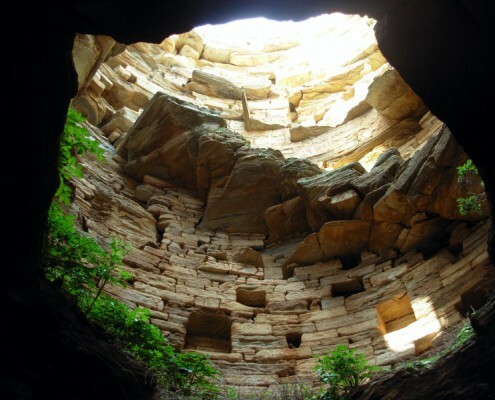 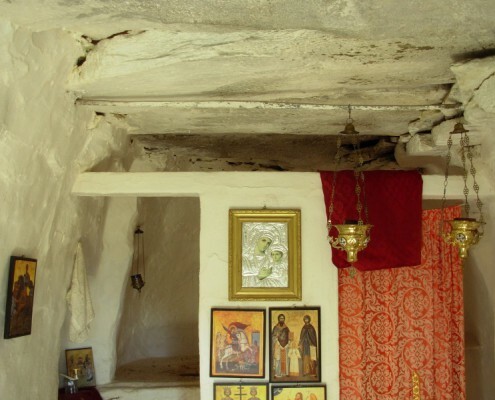 Food in Gavrio and Kato Agios Petros.